A Talkin' Loud dubplate from Metropolis Mastering with a Roni Size/Reprezant vocal tune called 'Personal' from the New Forms sessions. Can't seem to find this online. 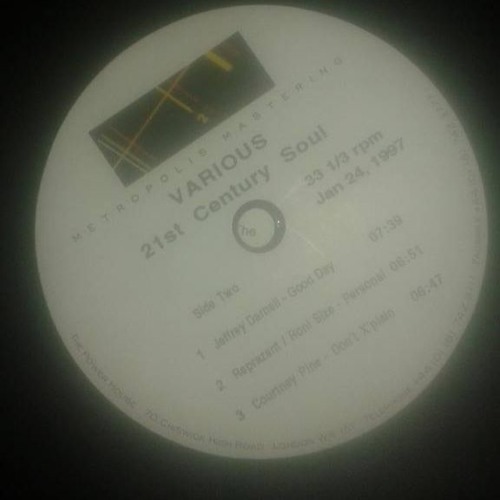 There was comp called '21st Century Soul' but this does not seem to be on it.